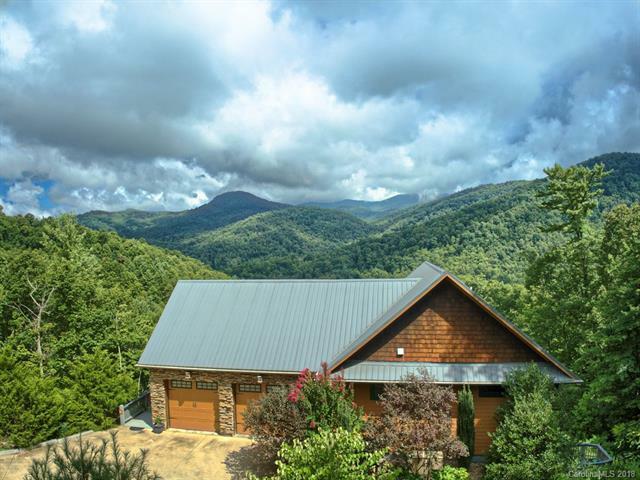 Unobstructed Year-round views, custom finishes and privacy less than 14 miles from downtown AVL. Open Great Room with beautiful handmade cherry woodwork and fireplace, Brazilian cherry floor. Spacious cherry Kitchen with pantry. Master suite and powder room on main. Large glass/screened-in porch not counted in square footage but you'll enjoy it year round. Lower level with 2 additional bedrooms, living room, wet bar, full bath and wrap-around deck provide privacy for overnight guests, VRBOs or short-term rental. Home makes a perfect primary residence or second home with 2-car garage on main plus additional lower level 1-car garage/workshop with abundant storage and heated floors. Plenty of room for toys and hobbies. The features list is as long as the views. Come See For Yourself!